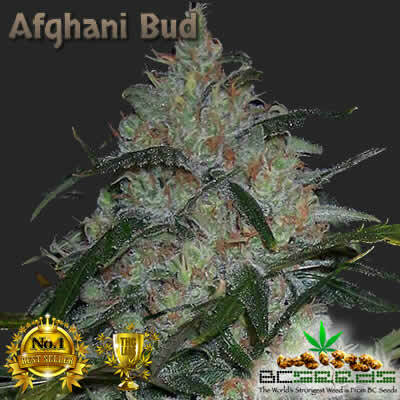 Afghani Bud by BC Seeds originated from the Mountains near the Pakistan/Afghanistan border where she was picked up as an untouched landrace and bred and stabilized on Vancouver Island back in 1998. Keep in mind that this strain has been grown outdoors and improved upon each and every year by selecting only the strongest parents. 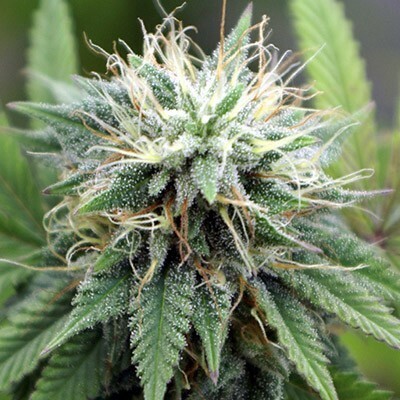 Each year this strain is grown, the more it becomes more resistant to Canada’s pests and volatile weather patterns. 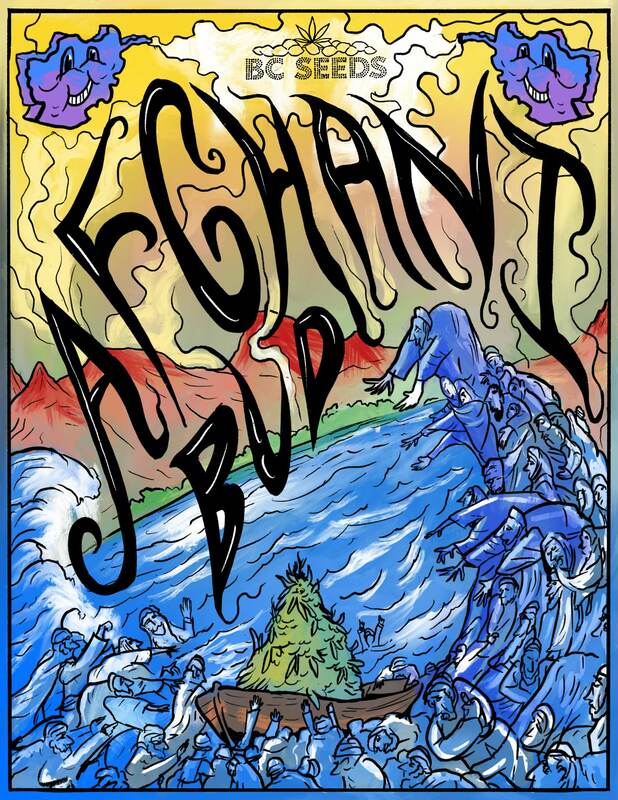 Tags: Afghani Bud, Afghani Bud best strain for making hash, BC Seeds Afghani Bud. Afghani Bud best strain for making hash. She is a wonderful strain for making hash. The #1 prefered strain for hash making. Moroccan strains are not as desired, as the hash that comes from Morocco breaks much sooner when bent. Afghani hash is dark black and sticky, hold a ball of it in your hands, and it will soon turn gooey just from your body heat. Stores well for many years. The high from the bud is a real heavy body stone, great and perfect for chilling out playing video games. Or just listning to tunes after a hard day at work. A real body stress reliever. Great to puff on a bit before going for a massage, or to the spa. Another great strain perfected by BC. I’ve grown the real imported strain, but mr bc really did a job on this. I’m a huge fan of fast hitting strains and this is a goto strain as is bcseeds annihilation bud. I love to smoke this before bed and keep a dreaming journal. I’m a television writer and I always get new content smoking this. My boss just gave me a promotion. If you’re suffering with writers block, this should help you as it has helped me. As for this strain, it was very smooth to smoke with a mellow high. Excellent night cap. My order was confirmed to be shipped just 2 hours after I placed my order. It arrived a couple days later and no one was the wiser. BC seeds also threw in extra’s and freebies. I guess to keep you as a loyal customer. I have since ordered from other seed banks to get strains BC doesn’t offer, but the best deals, freebies and best strains were all from BC seeds. Amazing potency , it has to tartly blown my mind and completely relaxed my body and touched my soul if that makes any sense to my fellow stoners. G”Day. BC Seeds used proper stealth shipping. Only from this seed bank was it done right. It’s about time a seed bank did that right to Merrylands, Australia. I feel very safe ordering here and I’m keen to buy some multiverse god bud next pay. i use this strain to help chill out with my anxiety. i don’t need to get wasted, i smoke for medical use. i like this strain because i don’t need very much, about 1/2 a toke and i’m axious free for about 6 hours. 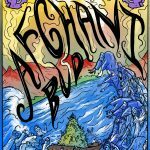 Afghani is one of the lower priced strains I picked up but also because i am a lover of hashish and everyone only seems to carry bud from where i come from. So i bought clarkes book on hash, and made the finest hash I ever tasted all by myself, and on my first time. I bought these cause i heard the high is the best. for me, after blazing a fair amount, i just go into deep relaxation and feel happy with a perma-smile. exactly what i was aiming for. This is a great strain by it’s self but a must for anyone doing cross breeding. I’ve played around with mixing a lot of strains and this one has given consistently great results! However it’s also a beautiful strain just as it is. Produces good quantity and quality, a lot of dense foliage and pungent smell. Whatever you’re plans are this one is worth a try! Don’t carry an AK-47 when you smoke this bud, you might end up shooting at real people that you vision as ghosts. This strain is way to strong, it should be regulated and I live in the USA where we don’t believe in rules.